Our home delivery unit bridges the gap between warehouse and welcome mat. With purchase habits changing to reflect the empowered and digitally influential consumer, our team can help you exceed their expectations for timely e-commerce, retail and manufacturing deliveries. The result? Grow in stride with your changing customer and maximize revenue potential. It takes trust to send your product across the country, province, or even the city. GO Logistics brings decades of experience to get your products to your customers as quickly and reliably as possible. We use real-time technology that integrates with your parcel tracking system. If you prefer to use ours, we can set up your inventory with ease. Either way, you receive the information and visibility you need to track your inventory, freight and delivery status at all times. 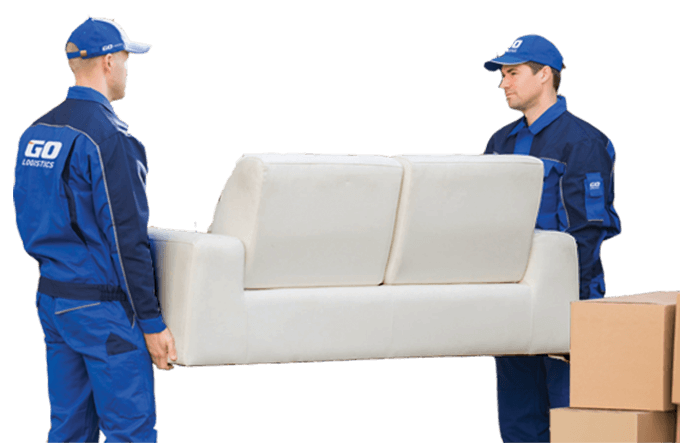 From big and bulky installation to front door, small package delivery, we cover the array of special services your customers are looking for in a delivery experience. Whatever your unique requirements are, we can be the face of your brand to deliver for your customers. We are hyper-focused on making sure you and your customers have a positive experience with our delivery services. We encourage feedback through automated survey calls and customer experience cards to share their satisfaction. Welcoming strangers into a home to deliver a package is a sensitive topic, our team is trained on how to handle customer interactions and the details that make for a positive exchange. Our training team is focused on continual improvement to make sure our staff is always growing and learning for the better.